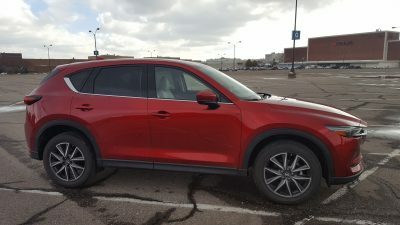 With the 2019 Mazda CX-5 waiting in the wings with its all new turbocharged four cylinder engine, and a whole host of refinement updates, the 2018 Mazda CX-5 has the unenviable task of holding down the fort and maintaining the strong legacy that the model has built for itself since it made its first appearance several years ago. 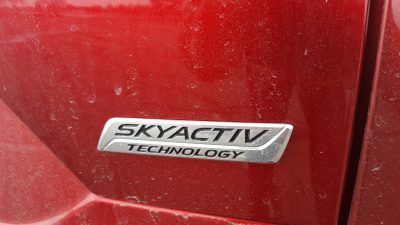 But the SUV and CUV wars are changing at a rapid fire pace with seemingly a new model being unveiled almost every week. 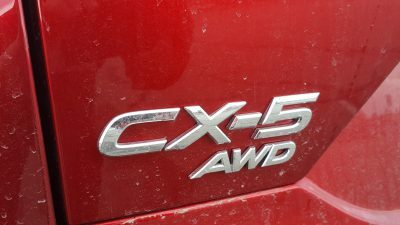 But can the 2018 CX-5 succeed in its minor but jey supporting role? 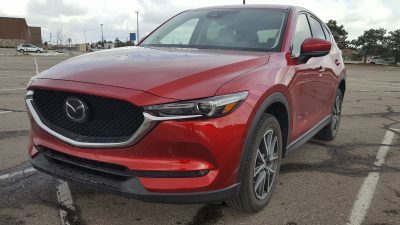 Or will the 2019 CX-5 have to pick up the pieces when it eventually makes its way to Mazda showrooms? 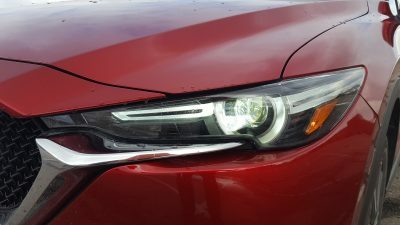 While 2018’s updates are more on the restrained side when it comes to exterior styling, we are glad that the bulk of the CX-5’s styling cues have largely remained intact. 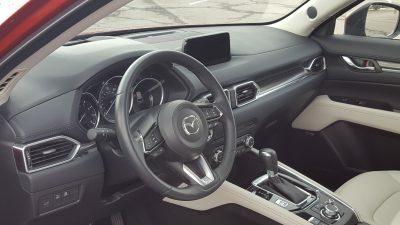 The CX-5 is easily one of the best looking entries in its class, and the sheer amount of ambiance oozing out of the Mazda is unmatched by many of its competitors that prefer to let utility, function, and the occasional bean counting from the accounting department influence their design language. 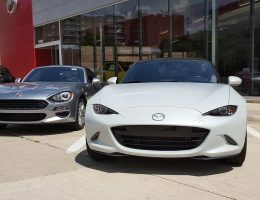 The lines on display here are sensuous, with the front fascia featuring a bold yet purposeful face that embodies a lot of its athletic overtones quite nicely. 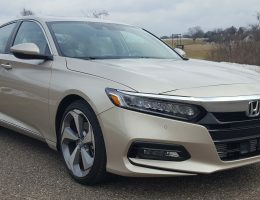 While it is not as brash with its interpretation of sport as more performance oriented SUVs, the look is sleeker than most, and adds a degree of modernism to the package. 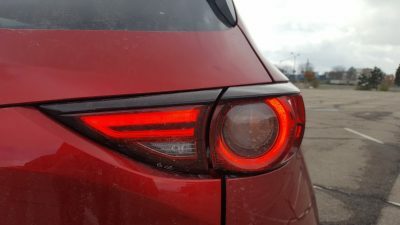 As mentioned in our prior encounters with the CX-5, the rear fascia is arguably the blandest aspect of the design, but considering that tends to be a common narrative with other CUV entries in its segment (some worse than others) we will give the CX-5 a pass, and also give the rear styling some marks for its MX-5 esque taillights. 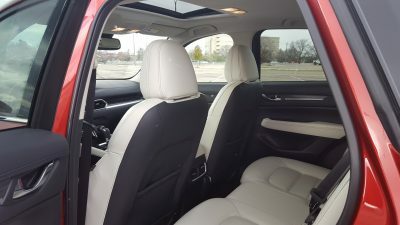 As a whole, the elegant suit of clothes allows the CX-5 to make an entrance, and look for that to please some family buyers that want a distinctive entry that dares to venture outside the mainstream dullness that permeates the segment. 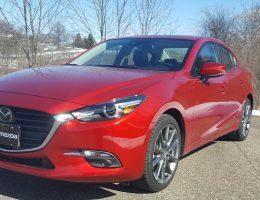 As is the case with other Mazda offerings, the color palate plays a big role in determining whether the styling hits its mark. 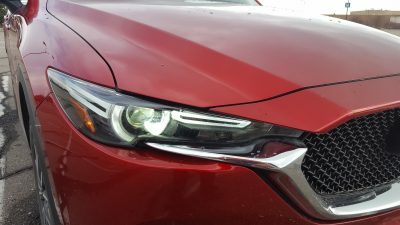 We recommend avoiding white, and instead opting for either the Soul Red Crystal Metallic that adorned our tester, or a darker hue like blue or black to achieve maximum visual effectiveness. 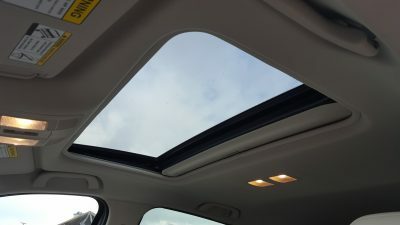 Unlike the practically unchanged exterior, the 2018 updates begin to make more of an impact when you have the opportunity to slip into the CX-5’s refined and luxurious cabin. 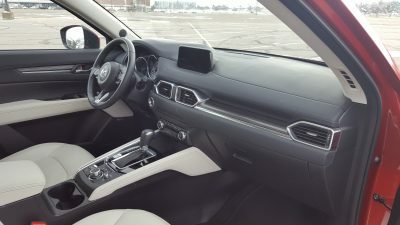 All CX-5 offerings now feature a leather wrapped steering wheel and shift knob, and the base CX-5 adds a whole arsenal of driver assist options including lane-keep assist, as well as adaptive cruise control. 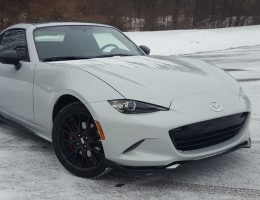 A brief blast of snowy weather revealed that the camera based system in our Grand Touring grade tester was extremely susceptible to being disabled by ice, and there were occasions where we had to wait for the defroster to formally remove it before the system was able to work again. Look for this quirk to mainly affect states in the snow belt where the winter months bring lots of snow and salt grime to drivers. 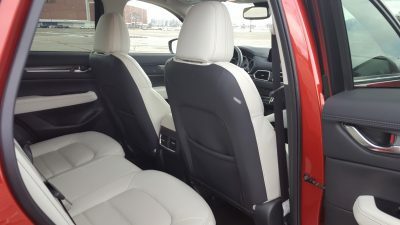 Speaking of the Grand Touring model, it now gains memory settings for the driver, and passengers now gain six different power adjustments for their seat. Like before, the cabin places a strong emphasis on design, with splashes of high quality materials scattered throughout. 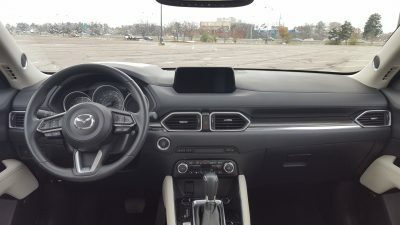 All CX-5’s feature a 7.0 inch screen that is mounted on the dashboard and sits like a floating tablet screen. 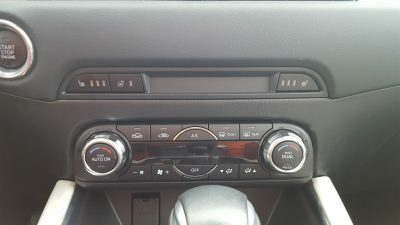 Various functions are controlled by the rotary controller in the center console. 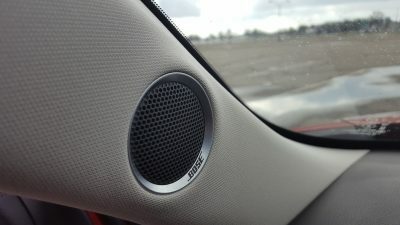 Like our other encounters with this system, some of the finer details are a bit too balky for our tastes, but considering that there are other control schemes in the industry that are either frustratingly annoying, or hopelessly dependent on laggy haptic feedback (Cadillac’s CUE system is a prominent example) Mazda’s I-Drive style controller is arguably the lesser of two evils. 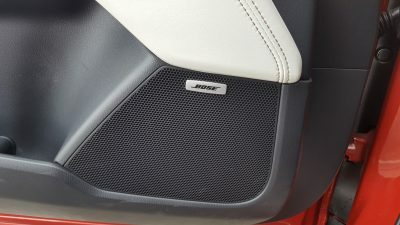 However, we will not excuse the infotainment system for not having Apple CarPlay, Android Auto, and a Wi-Fi hotspot. 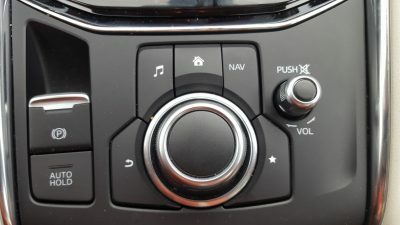 This trifecta of compatibility and entertainment flexibility is fast becoming a must have suite for many of the CX-5’s rivals, and the fact that the CX-5 still doesn’t offer these features causes it to fall further behind rivals in this key segment of the automotive market. 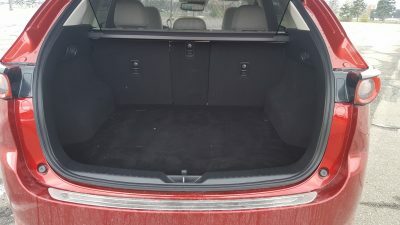 Rear storage is also smaller than some of its rivals, but the space does become more functional when the seats are folded flat. 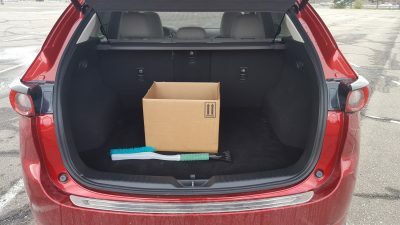 Loading our tester was easy, but again, there are rivals that offer more available cargo space than the Mazda. 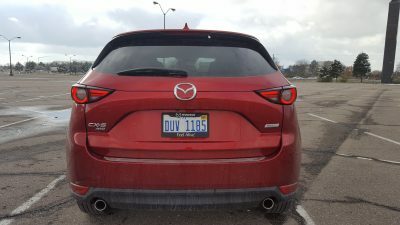 The CX-5 also falls short in capability, with the stylish Mazda only being able to tow a rather meager 1500 lbs. 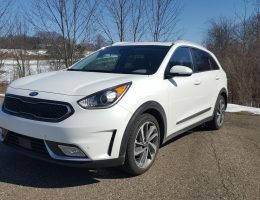 This figure trails rivals, and hurts the CX-5’s ability to be a vehicle that families can use for long family vacations, especially those that involve towing an RV. 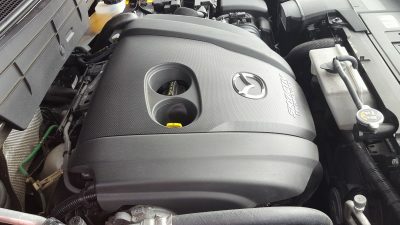 As mentioned earlier, the CX-5 is getting a turbocharged engine for 2019, but since that engine is not quite ready for mass consumption yet, the 2018 model makes do with the current naturally aspirated 2.5 liter four cylinder engine. 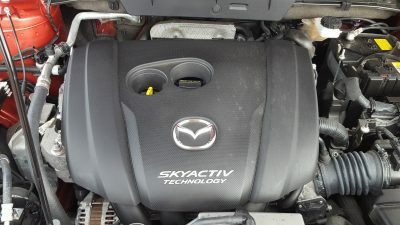 Instant torque delivery is not this engine’s strong suit, but its lack of off the line grunt doesn’t stop it from still being a relatively responsive unit. 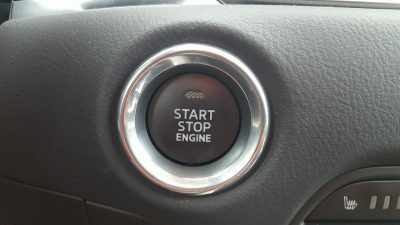 This eagerness is found in the upper reaches of the rev band, and gives this engine a spunky demeanor, though keeping it in this slice of nirvana is necessary to keep the lack of torque from rearing its ugly head in the event you choose to accelerate for freeway passing. 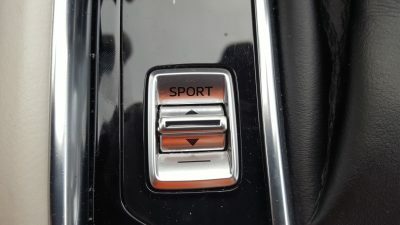 A six speed automatic transmission is a nice departure from the CVTs fielded by rivals, and it does a good job of allowing the engine to showoff the bulk of its potential in a wide range of driving situations. 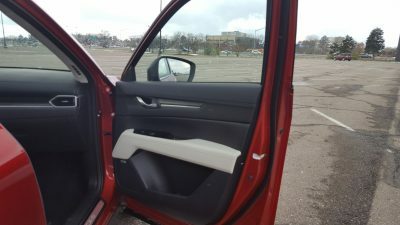 Dullness is dead in the CX-5, and while the engine’s meager low end punch may make it seem like a light weight at first glance, it is ultimately the platform underneath that allows the CX-5 to truly stand out in its own distinct way. 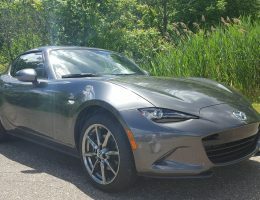 Ride quality is supple enough to absorb most impacts, yet, the precise steering and cornering demeanor that can allow it to be an impromptu Sunday cruiser through light switchbacks. 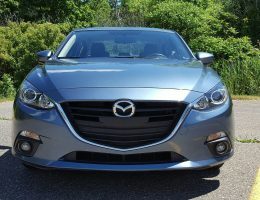 Mazda attempted to improve fuel economy by implementing cylinder deactivation technology to the four cylinder, but look for the mileage increase to be marginal, with our tester still being relatively thirsty during our time with it. 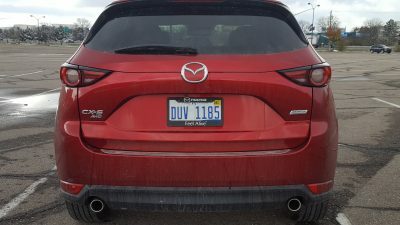 Braking in our tester was smooth and composed with the CX-5 easily trouncing some rivals in its price range (and above it) with the minimal levels of nose dive that we experienced when braking from a wide range of vehicle speeds. 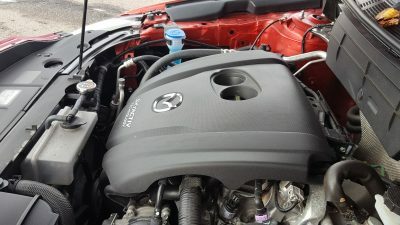 We look forward to seeing if the turbocharged engine can help remedy some of the low end fizzle that exists in the torque band, and whether it can also help improve fuel efficiency as well. 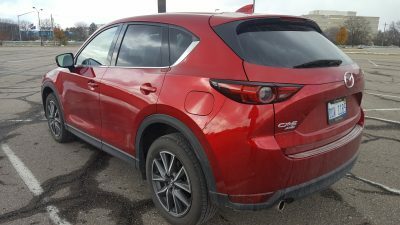 With all the good things that the 2018 Mazda CX-5 manages to do so well, it’s good to see that pricing has still remained a reliable stalwart of the CX-5 buying experience. 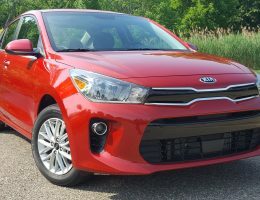 While 2019 models do have a bit of a bump in pricing, 2018 versions like our tester have a base price of $24,150 for the base Sport model while Touring models have a slightly higher base price of $26,215. 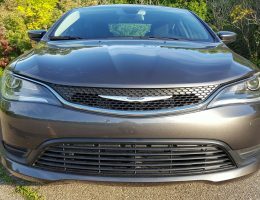 Step up to Grand Touring models like our tester and you will be asked to pay a base price of $29,645 which is still a value packed price considering some of the rivals that it is playing with in the segment. 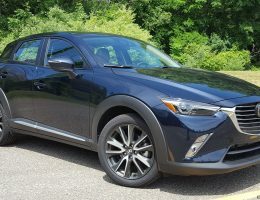 While the CX-5 in its current form misses out on the turbocharged revolution that many of its rivals adopted (that changes in 2019) you still get a crisp handling CUV for the money that also has more style than rivals such as the Honda CR-V, Ford Escape, Toyota RAV 4, Nissan Rogue, and even the Mitsubishi Eclipse Cross. 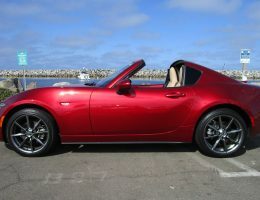 It also has a better warranty, and its interior is a leg up over those offered by Mitsubishi, Nissan, and even Honda. 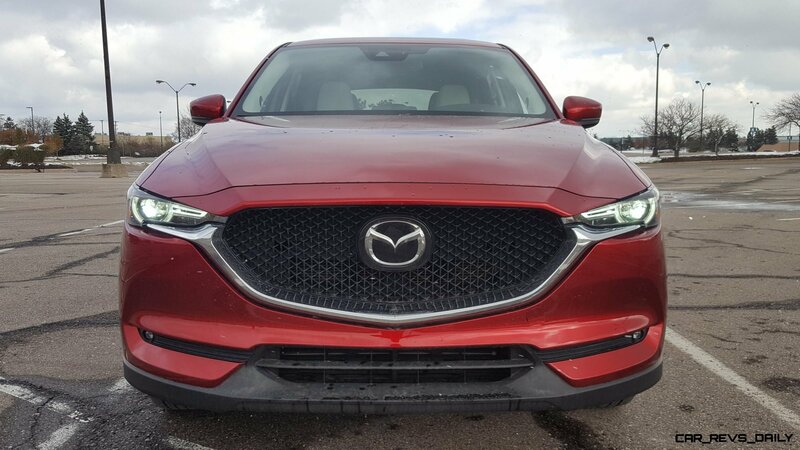 We look forward to getting our hands on the 2019 version of the CX-5 and see if it can regain some of the ground it has lost to rivals. 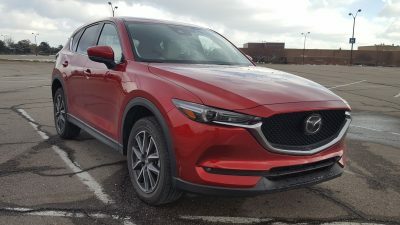 But in the meantime, for buyers that typically buy a new car during model year change overs, the 2018 CX-5 stands out as a relatively good bargain in this regard, with many Mazda dealerships currently offering specials of varying degrees to clear room for the onslaught of 2019 models. 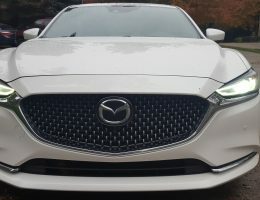 Either way, the Mazda CX-5 is a compelling underdog, and its blend of unique attributes should allow it to win over buyers that want to stand out from the mainstream.